Spacious pitches, luxury, and comfort. That's what camping is like on campsite de Koeksebelt in Ommen. 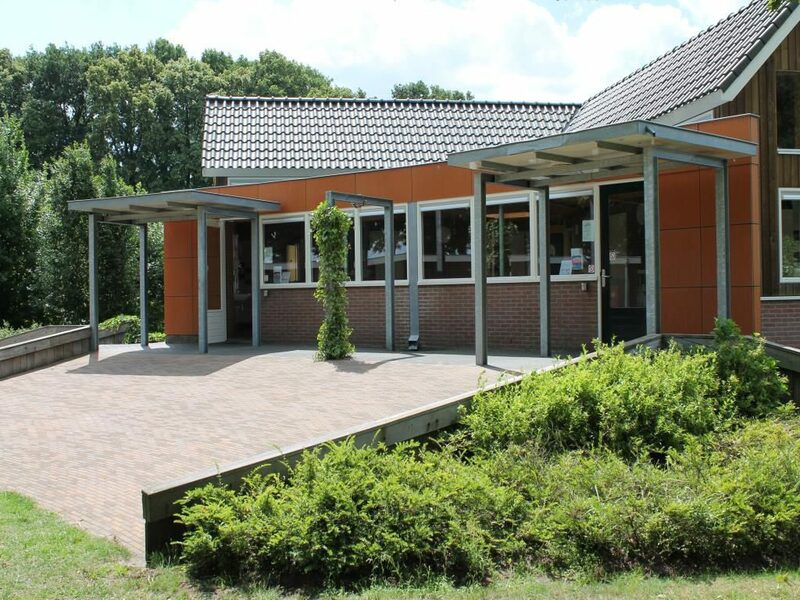 Situated next to the Vecht, and right by the cozy town Ommen, makes de Koeksebelt an attractive location. Here, the convenience of the city and peace of nature go hand in hand. Camping in Ommen. On foot, or by bike, you'll find yourself in the beautiful center of Ommen, with its cozy shopping district and many terraces, within a few minutes. Want to explore nature? 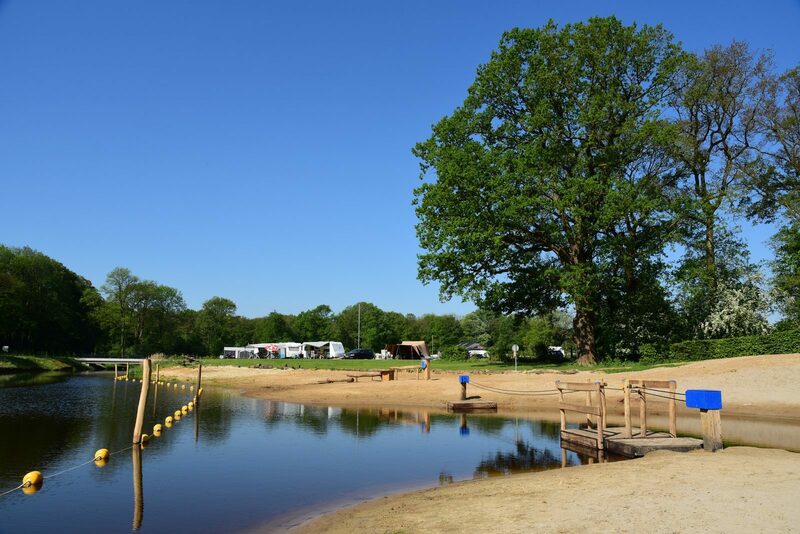 Campsite de Koeksebelt in Ommen is right across the estate het Laer, which has majestic old beech lanes, the rugged oak forests, and the nostalgic deer park. Because of the close-by cycling hub, you can explore the vast valley of the Vecht on foot or by bike. 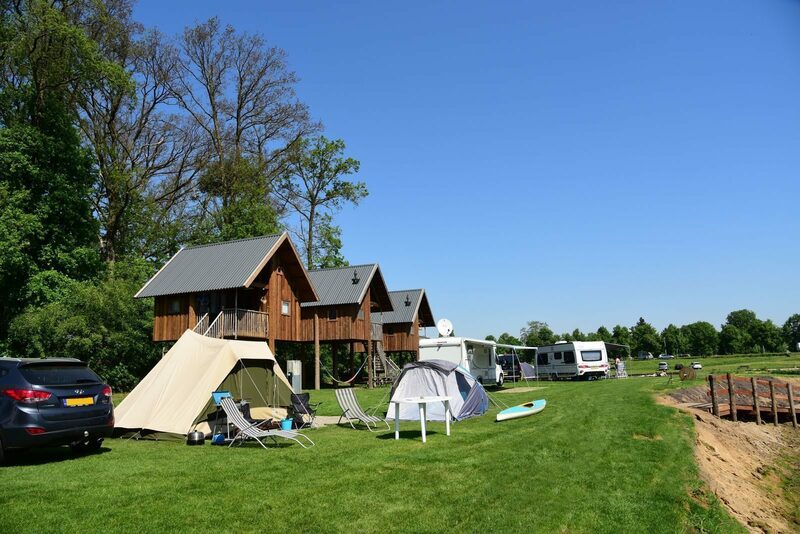 The camping pitches of campsite de Koeksebelt are spacious, and are provided with all possible luxury. Every pitch is provided with water, water outlet, elecriticy, TV connection, and there's WiFi connection nearly everywhere on the camping. Our shop sells fresh buns, newspapers, and varyious groceries. 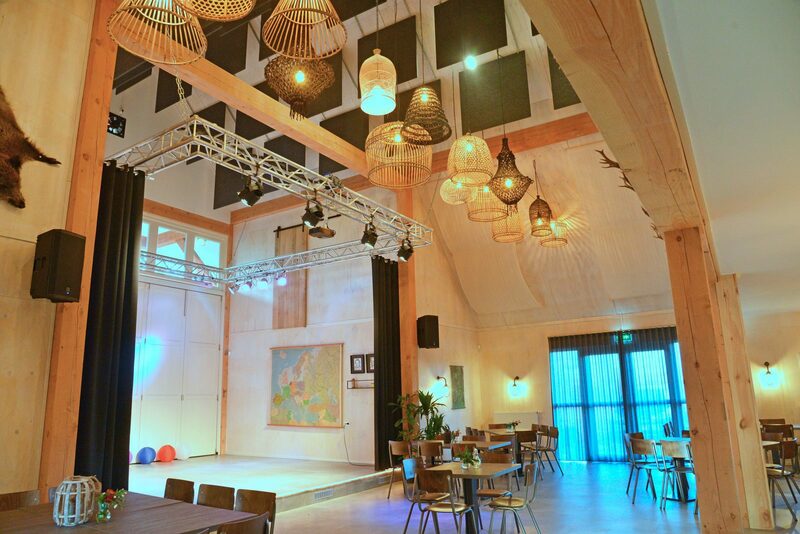 In short, a holiday at de Koeksebelt in Ommen is a Holiday with capital H. You can lounge around, but you can also do all sorts of activities. Swimming in the Vecht, or in our heated swimming pool, rowing, fishing, playing and romping. Anything is possible. It's not surprising that de Koeksebelt in Ommen has been granted 5 stars by the ANWB. Located on an island! 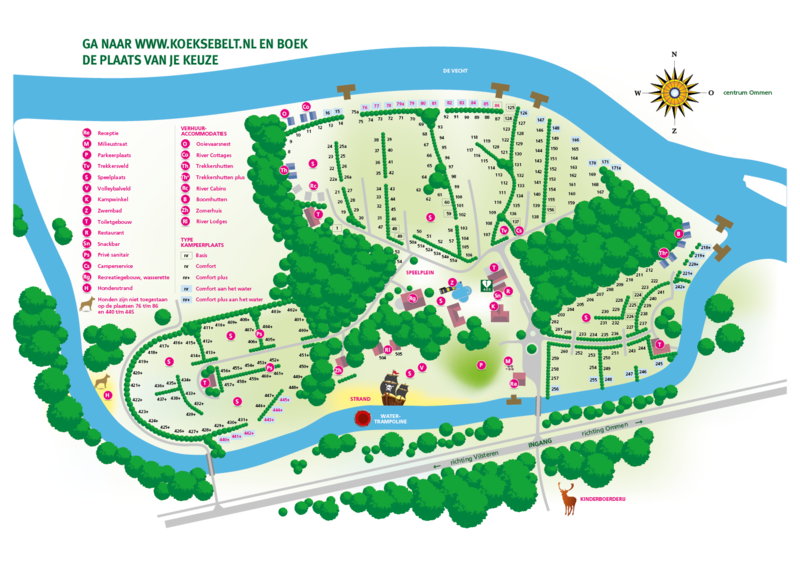 Campsite de Koeksebelt is located on the river the Vecht. Because the river the Vecht can't handle all the water during heavy rains, the Koeksegeul was dug here since 2018. 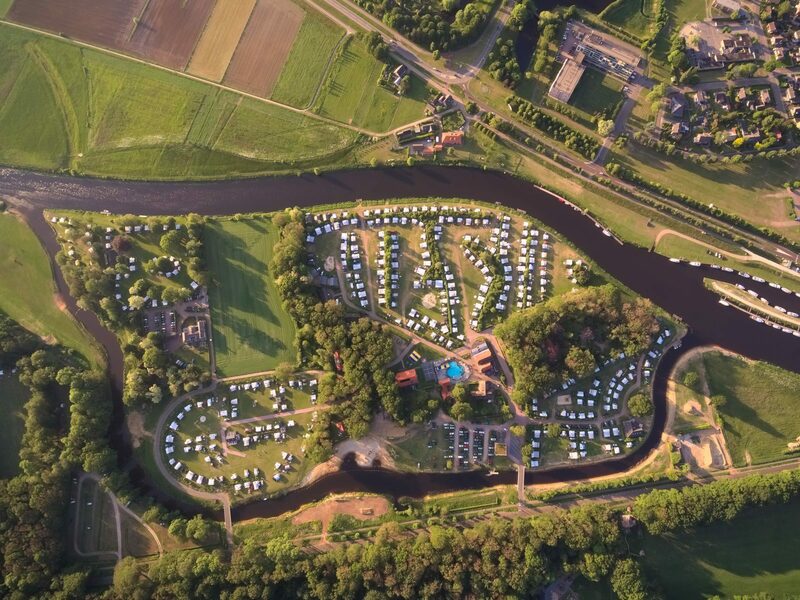 Campsite de Koeksebelt has been located on an island ever since and it is surrounded by the river the Vecht! Want to have a nice swim in the Vecht, play on our playground beach with the pirate ship or sail a tour around the campsite? It's all possible at de Koeksebelt! 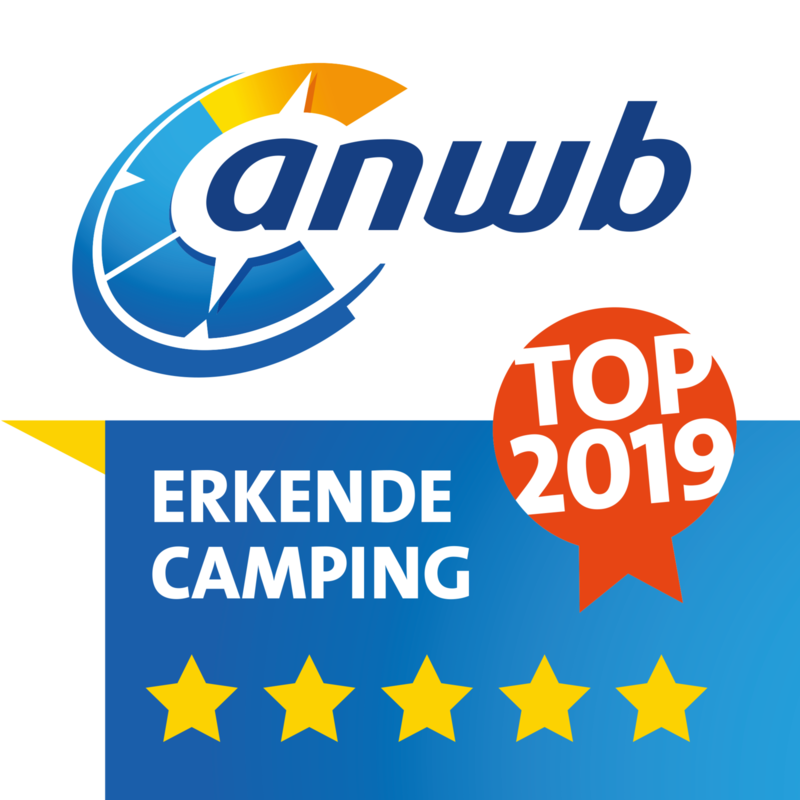 We have been awarded with our 5th star by the ANWB since 2018! We are of course very proud of this. Why do we think we deserve 5 stars? Spacious sites, comfort, luxury accommodations, extensive facilities and always something to do for young and old! 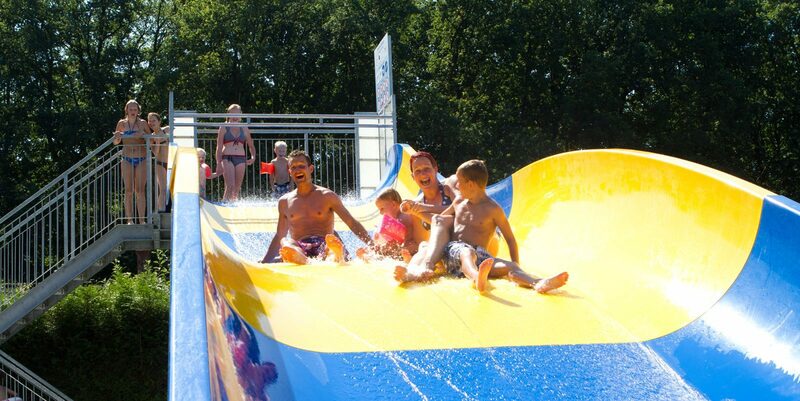 Experience yourself what camping at Campsite de Koeksebelt in Ommen really means. 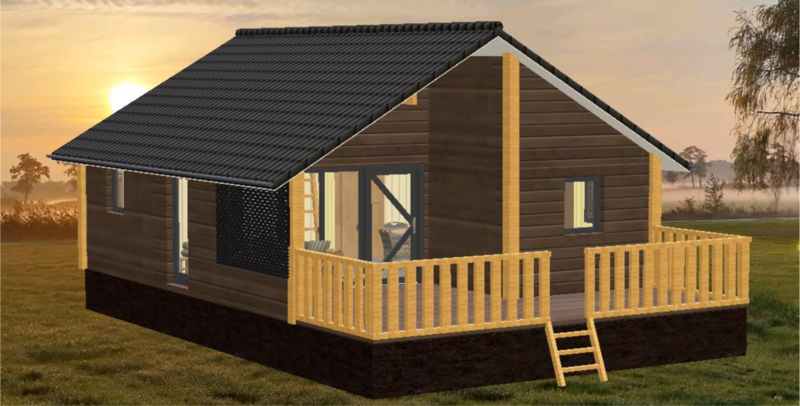 From next season, our brand new River Lodge will be available to rent. The Lodge is located near the playing beach at Camping de Koeksebelt. Due to the unobstructed view of the playing beach, this accommodation is perfect for families with children. You can keep an eye on the children from the veranda! Rent our electric and wheelchair friendly boat! With our new wheelchair friendly e-excursion boat we have a national first. This special boat for those with disabilities is the first of its type in the Netherlands! With this boat we also offer those who depend on a wheelchair the opportunity to steer the boat themselves and enjoy the trip. Everyone, regardless of disabilities, can go on a great boat trip or cast their fishing rod into the Vecht river with us.